(TUCSON, Ariz.) – Pima County Public Library’s Kindred Team, who supports and celebrates the black community, will launch One Book, One Community beginning January 2019. The first of its kind in Pima County, the program will kick off with Octavia Butler’s award-winning Parable of the Sower, which marked its 25th anniversary this year. Can I get a copy of the book at my Library? Customers can also check out the book at their local library (the hold lists for print, ebooks, and audiobooks are getting longer – reserve yours today!). I've read the book. Now what do I do? The Library will host in-person community conversations and events in February and March 2019. 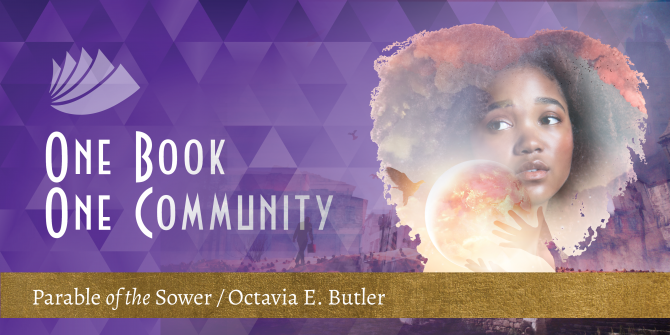 In addition, One Book, One Community participants can use #kindredoboc to share their thoughts and connect with other readers.